This dual-arm system for cameras 2-12lbs. provides improved shock-absorption, control, and range of motion. The superior arm dynamics and low price make the ProLite the stabilizer of choice for DV/HDV cameras. NEW FlowTech Gimbal – Classic design has been improved with an ergonomically-sloped extension grip for improved handling and the ability to add a zoom control. Precision 3-axis gimbal delivers consistent fluid motion with six sets of bearings. The lightweight, rugged gimbal ties the system together effortlessly. 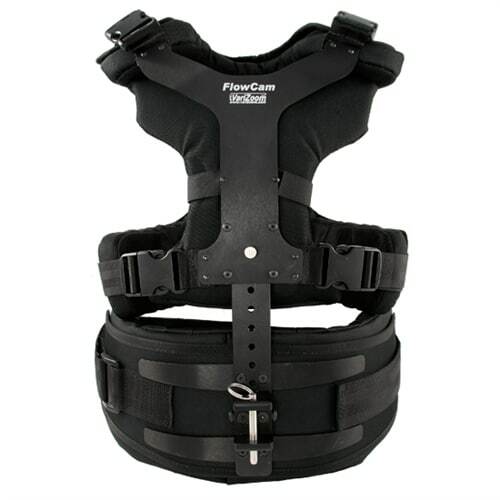 NEW Form-Fit Vest – This new improved vest includes a contoured chest pad, torso-gripping 4-point buckle system, and height-adjustable chest plate. 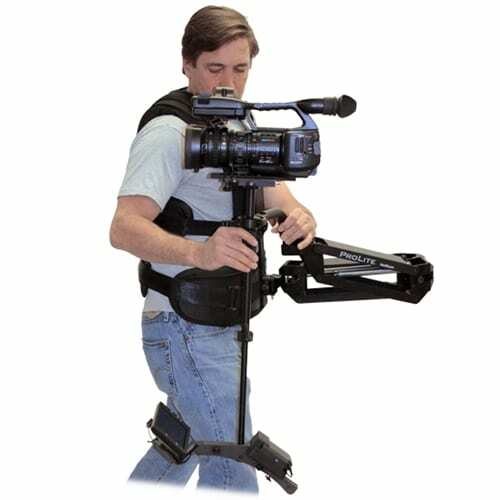 The lightweight, cool vest hugs and supports the upper body, making it possible to fly cameras for extended periods. David Hurd, with P3Update. “Test Drive” – “Always, I have firmly believed in using the right tool for the job. Recently, a director sent me the shot list for an upcoming video shoot. On his list was a full day of shooting with constant camera movement. I had a couple of weeks to prep, so I had VariZoom send me on of their ProLite vest supported stabilizers. From the moment I opened the custom fitted rolling case I knew I had made the right decision. 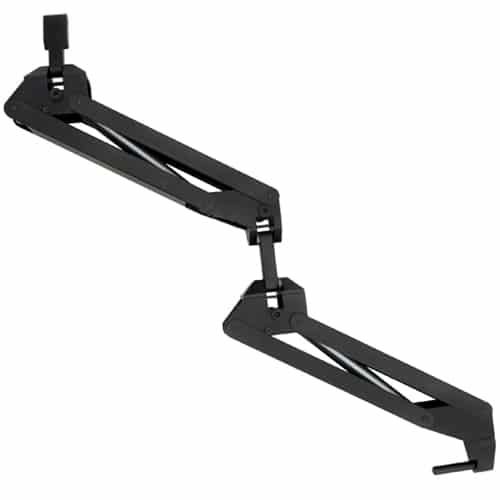 Dual Articulated Arm – The dual arm system is lightweight and highly dynamic. 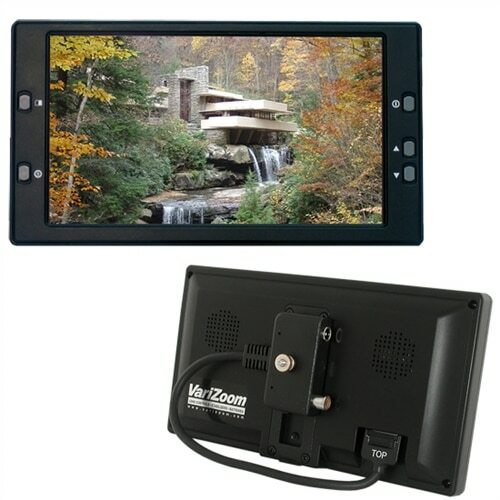 It can bear cameras 2-12 pounds swiftly and smoothly and offers up to 38″ of vertical travel. Twenty-two precision bearings and four springs ensure silent, zero-failure performance. Precision Gear Drive Stage – Micro-adjustable gear drive stage enables extremely precise tuning of horizontal balance. 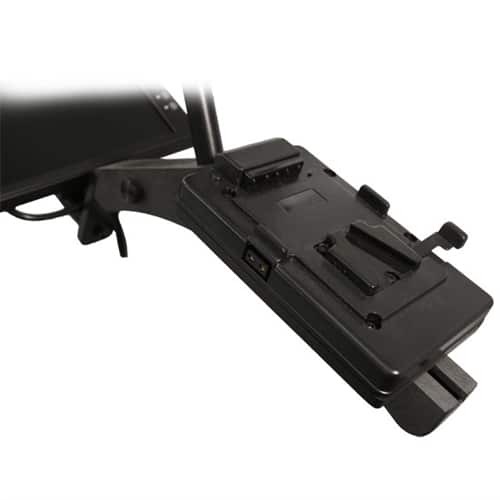 Quick-release dovetail camera plate allows rapid setup and breakdown in the field. Power, Vision, Balance – At the base of the sled, a 7” 16:9 color monitor serves as a large external viewfinder. A proprietary Li-Ion battery w/ LED capacity indicator is standard (V-lock & AB mounts available on request at no extra charge). The monitor and batteries serve as counterweight for vertical balance and their positions can be adjusted for fine-tuning. Custom Rolling Case – A form-cut foam insert protects and secures the system components inside, while the wheeled case with telescoping handle ensures effortless transport. Padded carry pouches hold the toolkit, cables, and monitor. Options – The ProLite comes standard with a sophisticated Li-Ion battery system, but if you prefer to use your own V-lock or Anton Bauer, or we can substitute the appropriate mount at no extra charge. The ProLite comes standard with a 7″ 16:9 monitor. If you have any other special requests, then give us a call and we’ll be glad to discuss your needs. Because these units are hand crafted and assembled, the options are wide open. It is always our goal to manufacture products of the highest quality. Long life and reliability serve both the customer and the manufacturer. We stand behind our stabilizers with a 3-year arm/vest warranty and a 1-year warranty for the sled and case. Please look closely at the product pictures and see the detail in our machining and finish. If you have a question or need some help, call us on our toll free line 888-826-3399. 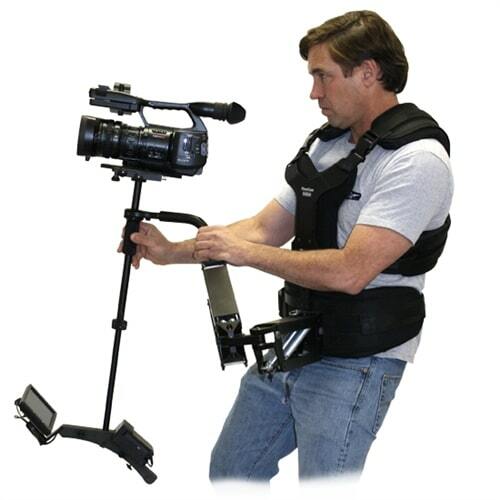 Hands-on stabilizer demonstrations are available in the Los Angeles area, just call us to schedule. 36" x 2.625" x 2.25" / 22.5" x 14.5" x 4.5"
H 29" W 17" D 16"